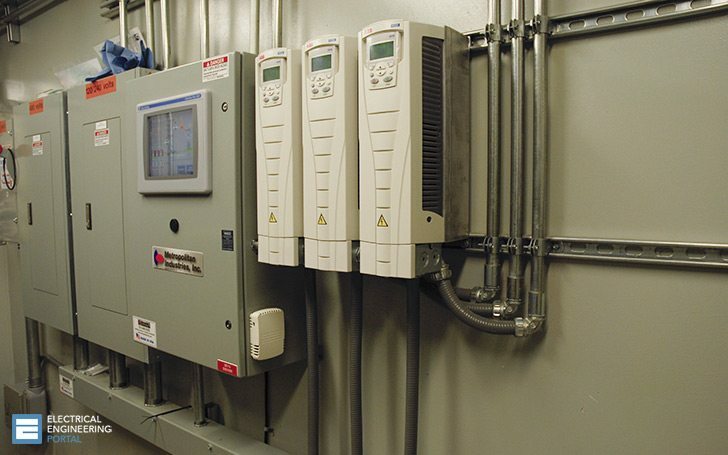 There are three different types of Adjustable Speed Drives (ASDs) on the market that primarily differ in the type of rectification they use to convert AC to DC and back to AC. These drives take the AC input voltage and frequency, covert it to DC using rectifiers, then convert it back to AC in an invertor which changes the voltage and frequency. The VVI is the oldest AC drive technology and was the first AC drive to gain acceptance in the industrial market. The VVI is sometimes called a “six-step drive” due to the shape of the voltage waveform it sends to the motor. VVI drives are fairly economical between 25 and 150 horsepower for ranges of speed reduction from 15 to 100% (about 10 to 60 Hertz). These drives are also used widely on specialty high speed applications (400 to 3000 Hertz). During low speed operation (below 15-20 Hz) cogging can be a problem where the jerky motion of the motor shaft can create problems for bearings, gears, or gear reducers. i am a electrical engineer so i wanna study new technology and developing my country and own.